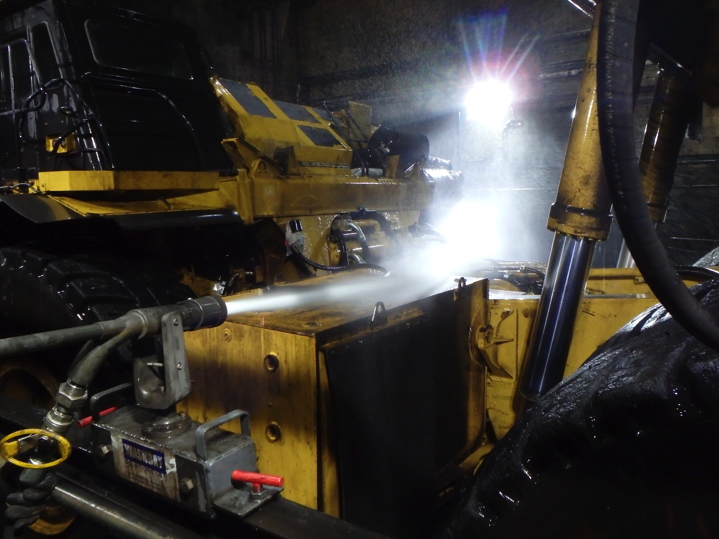 Problem: A mining company was washing and de-icing their large mining equipment with a 150-200 gpm water cannon monitor system. In the summer, washes typically averaged 1-2 hours, using 9,000 to 24,000 gallons per vehicle. In the winter months, however, the company used the same water cannon monitor system to defrost the equipment and then wash it. Defrosting in the depths of winter could often take up to 10 hours which added an additional 90,000 to 120,000 gallons per vehicle! The company called Wash Bay Solutions and asked us to develop a heavy-duty washing solution that would greatly reduce their water usage. 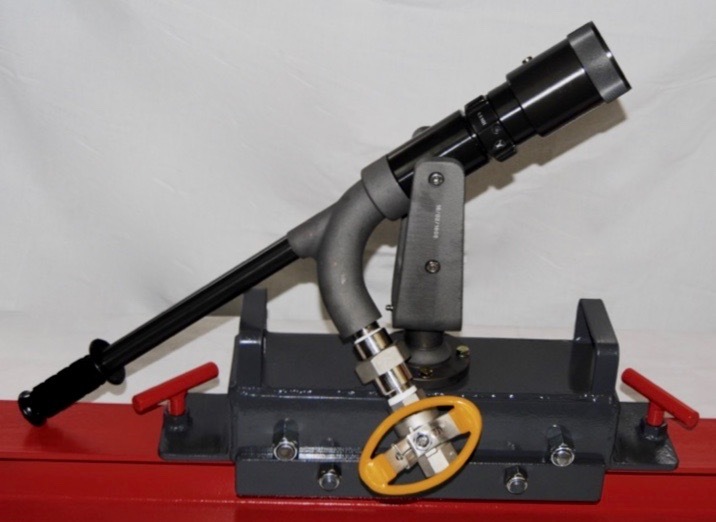 Solution: With input from the client, our engineers enhanced our existing demucking system with a new nozzle design to produce our 60 GPM @ 1000 PSI Mighty Monitor system. The key to this system is our specially designed, multi-directional, 60 gpm @ 1000 psi nozzle. These nozzles are trolley-mounted so they can ride along I-beam systems, immediately adjacent to the vehicle. Specialized hose trolley systems attached to the nozzles allow the operator to wash the 60-ton mining vehicles almost single-handedly! These nozzles are trolley-mounted so they can ride along I-beam systems, immediately adjacent to the vehicle. Results: The client is very happy the ease-of-handling, range of movement, and washing power of the new design. They are able to wash their large trucks quickly and effectively, using less time and about 1/10 of the amount of water than they did with the water cannons. Contact WashBaySolutions.com to speak with a representative. Request A Quote! Leasing Available! 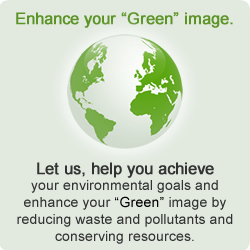 Wash Bay Solutions – Going Green!